This new year, at -5 degrees, Auro and I ran outside with a suitcase, following my grandmother’s footsteps. At that temperature, and considering that we come from a tropical country, we could only run for a few feet. The intention is what counts. Meanwhile, as we wait for the trips to come, we are traveling through photos, and stories. We are traveling with our memories. 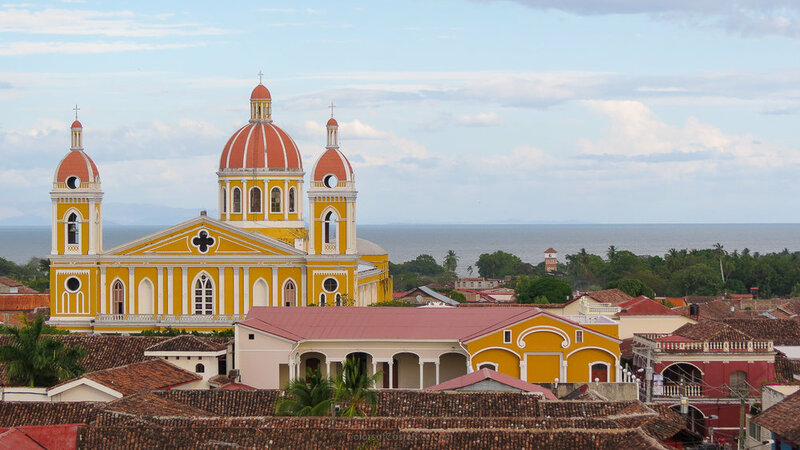 Back in January 2013, we traveled to Granada, Nicaragua, Costa Rica’s Northern neighbor country. Shortly after crossing the border, I was dying to get out and wander, I felt I was losing my life inside that bus. However, the wait was worth it. We arrived at a city that seemed trapped between Colonial times and the present. A city between water and land, where people sit on the sidewalks to read, or just to watch their neighbors and the tourists walk by. A city that reflects its identity in the colors of its walls. Because of my grandmother (thanks grandma! ), I am not the kind of person that spends the whole day in the hotel when traveling. For me, a hotel is a nicer prison; spending time there is like not traveling at all. 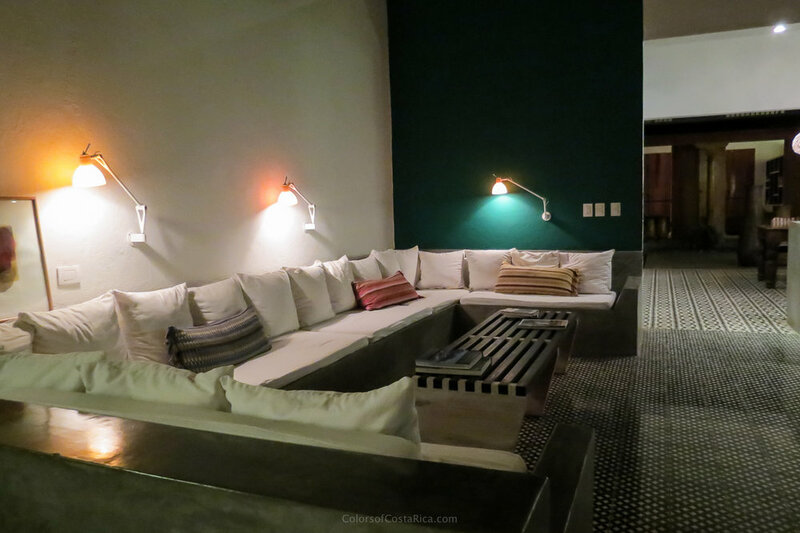 But when we arrived at Hotel Los Patios, I liked it so much, that I debated between going out or enjoy the architecture and tranquility of the place. There I felt at home. We took a tour to Masaya, where we encountered a colorful market full of art, and smells that aroused the appetite. We tried a delicious cocoa drink, which made us feel as full as after a big lunch. We walked near a crater, where a cross stood at the top of the hill. 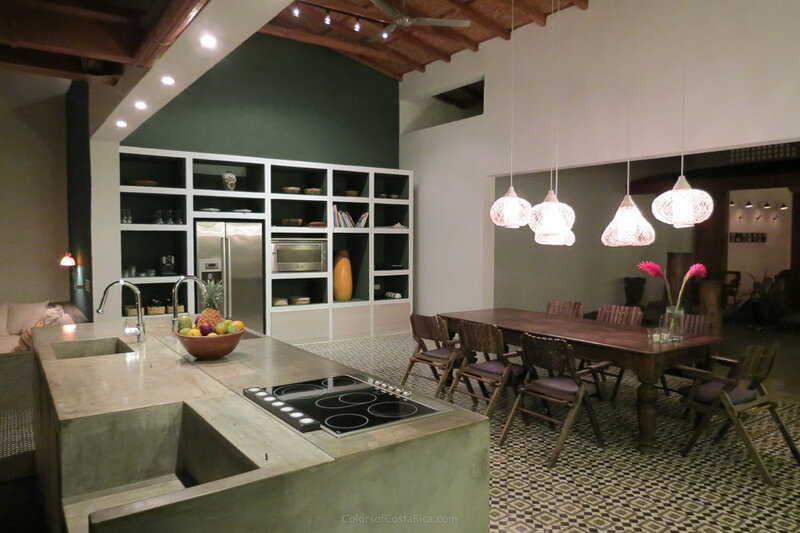 We visited Los Pueblos Blancos, where we saw a family create art pieces with clay, and at the viewpoint of Catarina, we enjoyed the wonderful view of Laguna de Apoyo. We were told that some believe the lagoon connects to the Lake of Nicaragua through caverns. Despite using our vacation to flee from work, we ended up translating some words that the tour guide did not know in English. At the end of the tour, we said goodbye, and after walking for a block we realized that the guide was calling us, he said the manager wanted to talk to us. For a second I thought they were going to hire us and that we would have to look for a house in Granada. What happened was that I had forgotten to pay. During our visit to Granada we walked through small and large streets, made of dirt and stones, and of asphalt. We sat in the park and like the locals, we watched people passing by (the living and the dead), talking and laughing; we enjoyed the cultural events. We went up to the tower of a church and saw that the ceilings, just like the walls, were also covered with plenty of colors, which the sun has faded over the years. We saw Granada, and we knew we wanted to go back.